Benjamin Biomedical has been successfully completing medical instrument repairs since 1994; specifically phaco hand pieces, harmonic scalpels and endoscopic video cameras. All our repair processes conform to the OEM directions for use (DFU), including proper sterilization methods. Our commitment to providing the highest quality repairs is evident by our certification to ISO 13485 for service & repair of medical devices as well as Risk Management 14971. Twice annually our quality control systems are audited; once by our certifying body and again by a firm that specializes in medical manufacturing and provides training in ISO and FDA requirements. In fact we were also FDA registered from 2002 through 2007 as a phaco hand piece manufacturer. 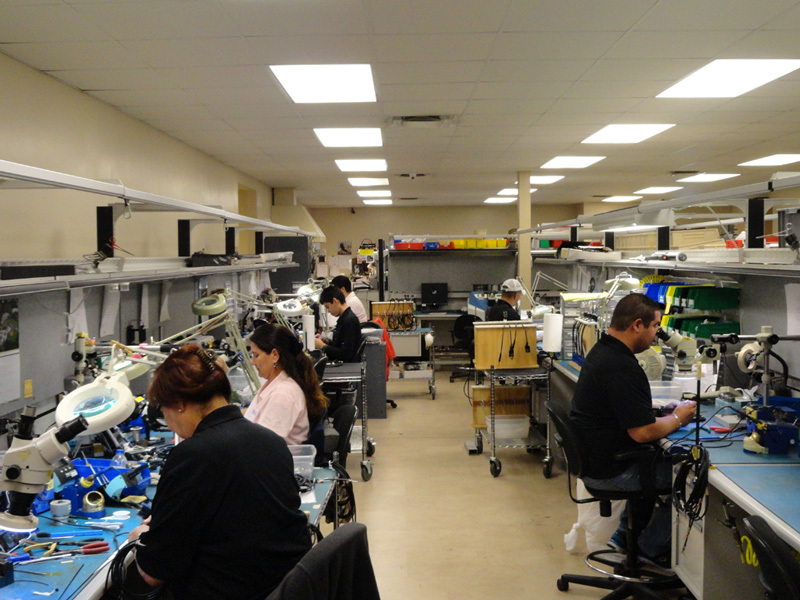 Our extensive OEM trained staff members include a former phaco design engineer who worked and consulted for many years for both Alcon and AMO. Each of our repairs must pass multiple in-process and final safety and performance tests prior to release for shipping. And in support of all our efforts to assure quality, we carry $3 million / $1 million liability insurance coverage. It’s good to have but in 22 years we have never had to use it. Is all of this common to the medical repair industry? No. Is it the best way to serve our customers? Yes. It is what you deserve.